The Christmas campaign of John Lewis – famous UK department store chain has become a symbol of the start of the British festive season. 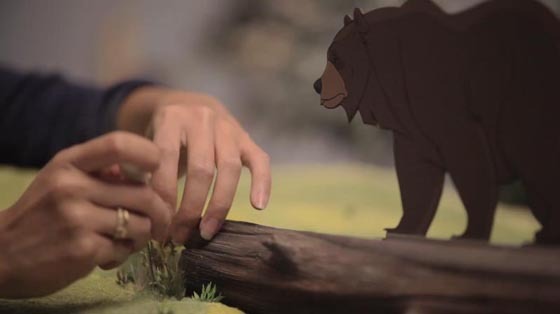 And this year, “The Bear & the Hare” is another wonderful tear-jerker/heartwarming animated film. It is about a bear who had never seen Christmas. As autumn winds turn to winter snow, the bear begins his annual retreat into hibernation to sleep his way through the best part of the year. The festive spirit is strong though, and his friend the hare is determined to give him a gift he has never received before – Christmas. The commercial is quite touching, however the making-of video is almost more impressive than the actual one. 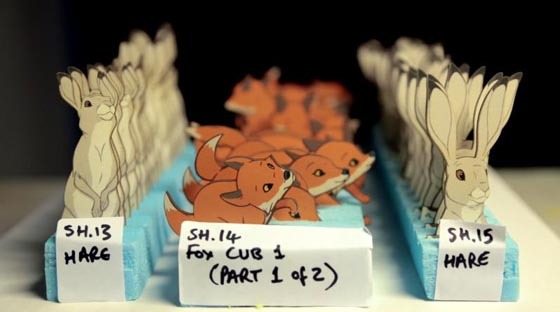 As a stop motion animation, it is a complex and time-consuming hybrid of hand-drawn animation. 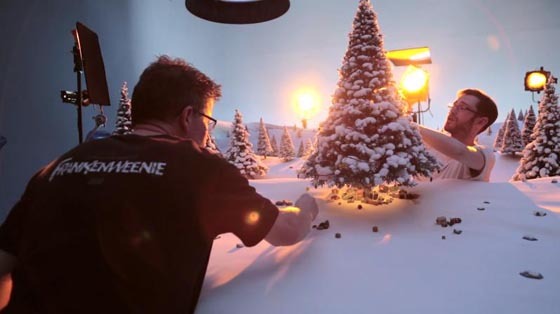 Scences, animal and effect, take a look at the behind scenes of the painstaking stop-motion process the creative team went through over a period of several months. You might more appreciate what you see in the commercial.